Share the post "Fertility Possibilities and Fibroids"
Can fibroids cause you not to conceive? Is it normal to have regular flow with fibroids? Just a few new questions patients have been asking about uterine fibroid embolization. Hello, I have a three part question. (1) I’ve been trying to get pregnant for over the past twelve yrs. One year and some months ago my doctor told me I have uterine fibroids. Could the fibroids be the reason why I can’t conceive? (2) Is it possible for someone who has uterine fibroids to conceive? (3) I don’t have any bleeding problems, just my regular flow. Is it normal to have regular flow with uterine fibroids? Research has shown that the presence of fibroids can cause a 70% decrease in fertility. More specifically, fibroids which cause shape alteration in the uterus are more prone to cause fertility complications. Of the three types of fibroids, submucosal fibroids tend to have a greater impact on the outcome of fertility. This is because submucosal fibroids are positioned just below the lining of the uterus and can bulge into the uterine cavity, resulting in an alteration of the natural shape of the uterus. Due to such an alteration, the fibroids can block a fallopian tube, thereby stopping the sperm from ever reaching the egg. Additionally, these types of fibroids thin out the lining of the uterus and decrease the blood supply to an embryo, further preventing a fetus from developing properly and a miscarriage may result. 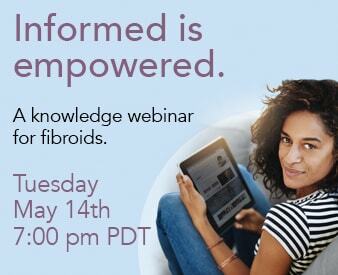 It is estimated that approximately 30 percent of women have fibroids large enough to cause symptoms; however, studies suggest that many more women have fibroids but do not know it since most fibroids do not cause symptoms. There are several women with uterine fibroids that do not experience heavy bleeding or pain and therefore remain unaware that they have fibroids. Because fibroids don’t always interfere with fertility and may not always cause severe symptoms, it is possible for a woman to conceive full term without problems. At any rate, it is important to note that during pregnancy, fibroids may increase in size due to a surge in hormones, and can cause some complications. If the fibroids grow in such a way that they obstruct the birth canal, they can create difficulty with labor or sometimes may cause postpartum hemorrhaging. Therefore, it is crucial that a pregnant woman with fibroids see her physician, especially if she experiences pain or contractions.